First of all, you must absolutely complete the Gwangi setup guide. After the import of demo content, it’s possible that some profile form seems to be broken. 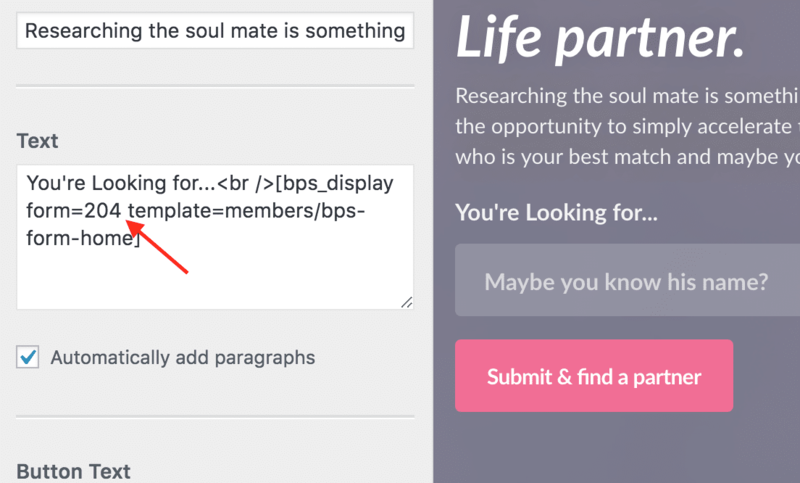 If you have a plain shortcode in place of your homepage form, check that the BP search profile plugin has been installed and activated with success. Check that you don’t have any red errors on the plugin settings screen (users > Profile Search ). If that’s the case, you can simply edit the form and save it again. You must also have at least one field in your form. Check also if the “ID” of the shortcode in the hero section (Customize > Appearance > Hero (General tab) ) is correct.